For 15 years, Bill and Nancy Thompson have been passionate about serving children and families whose lives are affected by disabilities and autism spectrum disorders (ASD). In 2004, they founded the William S. and Nancy E. Thompson Foundation, which supports comprehensive efforts to advance healthcare, education, disability and ASD services. When CHOC Children’s CEO Kim Cripe shared the great need for ASD-related services in Orange County, the couple decided to expand their resources in the community. 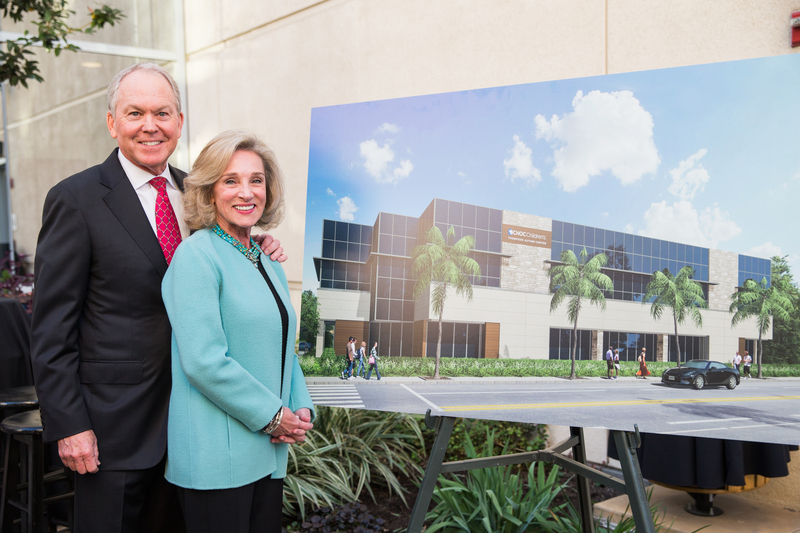 Earlier this year, plans were announced for the Thompson Autism Center at CHOC Children’s, named in honor of their $10 million founding gift. The Center will focus on improving outcomes through early diagnosis, addressing behaviors that diminish the family’s quality of life, and establishing a long-term support system for children with complex care needs. Contribution to national research networks and implementation of best practices will also be major elements of the Center’s work, along with helping families navigate the education system in partnership with Chapman University. Because of the William and Nancy Thompson Foundation, Orange County families affected by ASD will have greater access to the life-changing care and services they need. These families will not be alone in their struggles thanks to Bill and Nancy’s inspiring compassion. The Thompson Autism Center at CHOC Children’s is set to open in 2019.